Let Markley Cloud Services (MCS) be an essential part of your data center strategy. With a complete set of infrastructure services and high-performance networking solutions, the Markley Cloud flexibly integrates into your current and future data center. Address your emerging compute, storage, networking and data protection needs with Markley Cloud Services. Markley Cloud Services provides you with the infrastructure you need as you need it. Scalable and highly available, MCS provides multi-tenant and dedicated computing environments securely accessible via the Internet, directly from your Markley Colo resources, and through dedicated connectivity from one of Markley’s nearly 100 carrier partners. The Markley Cloud Service can be securely accessed through the network provider of your choice. Plus, Markley Cloud customers who purchase MCS Connect, a cross connect to your Markley Colo resources and Carrier access point, receive a second connection free to ensure highly available access. And best of all, unlike other cloud providers, Markley does not charge for MCS Connect data transfers between their Colo and Cloud infrastructure! Like you, Markley clients need answers, state-of-the-art infrastructure and support to successfully navigate their cloud journey. Two decades ago, Markley pioneered data center innovations such as carrier hotels and became a premier provider of colocation and other data center services. Today, we also provide comprehensive cloud services, allowing us to span the entire enterprise-level infrastructure ecosystem. We offer private, public and hybrid cloud services as Infrastructure-as-a-Service (IaaS), including the industry’s first Supercomputing-as-a-Service (SCaaS). 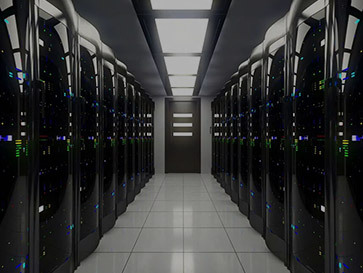 We also provide data center services, such as colocation, Internet exchange point, business continuity and disaster recovery, and data destruction and recycling. From the beginning, high-quality personal service and extraordinary support have been integral to our culture. Clients are served 24/7 by our onsite network engineers, technicians and support staff. We do what it takes. Markley gives you access to state-of-the-art infrastructure, fully customizable solutions and highly personalized service and support. Plus, your data will not be held hostage as you won’t be charged in/out fees. For clients, Markley is much more than a vendor — we are a strategic business partner. We will share our knowledge and ideas for improving your success today, and help prepare you for tomorrow. Contact us today to talk with our experts about your cloud journey and the services we offer.